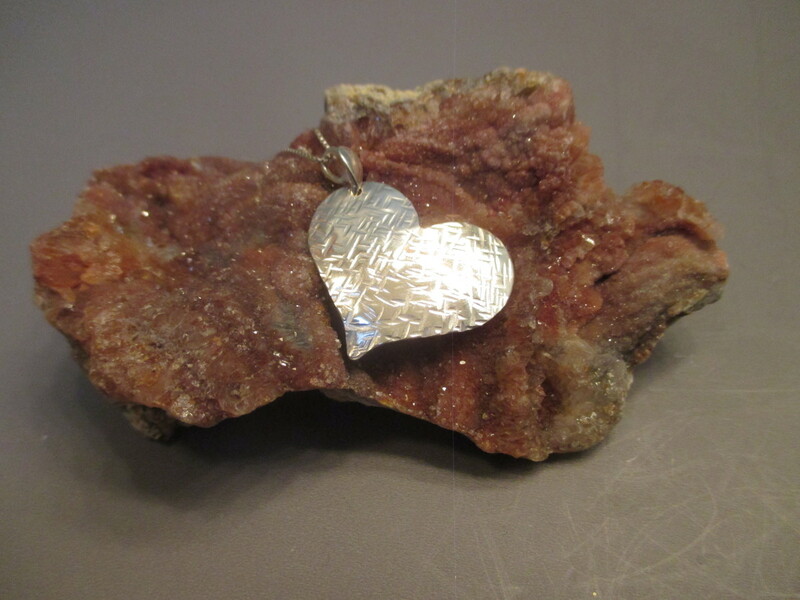 This necklace has a 1" sterling silver heart that has been hammered with a special design. The pendant is then highly polished to show off the design. A sterling silver chain is included. I have several different lengths ---- 16", 18", 20" and 24". The necklace will come in a gift box. Free shipping in the US.